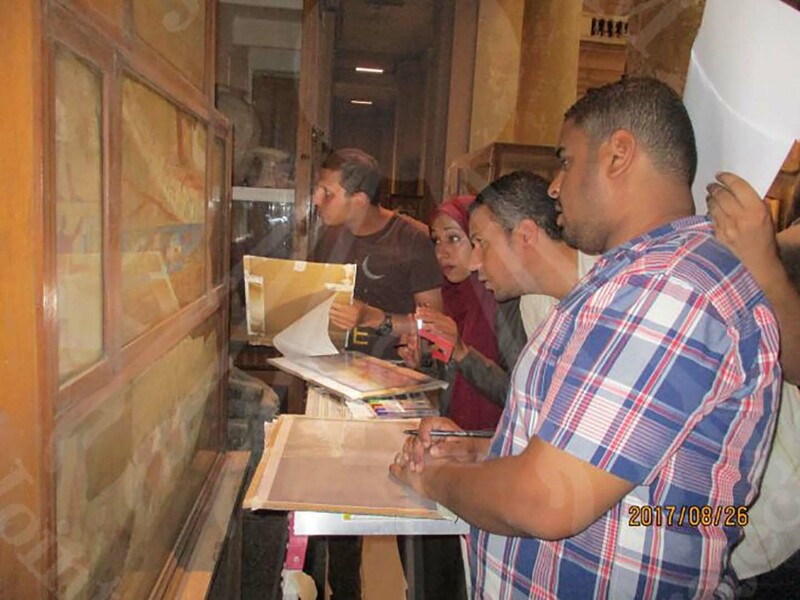 During July to August, Ms. Masuda and Dr. Narita, along with the wall painting team led by Mr. Helmy and coordinated by Mr. Saeed and Mr. Ahmed, conducted condition survey at the Cairo Egyptian Museum. 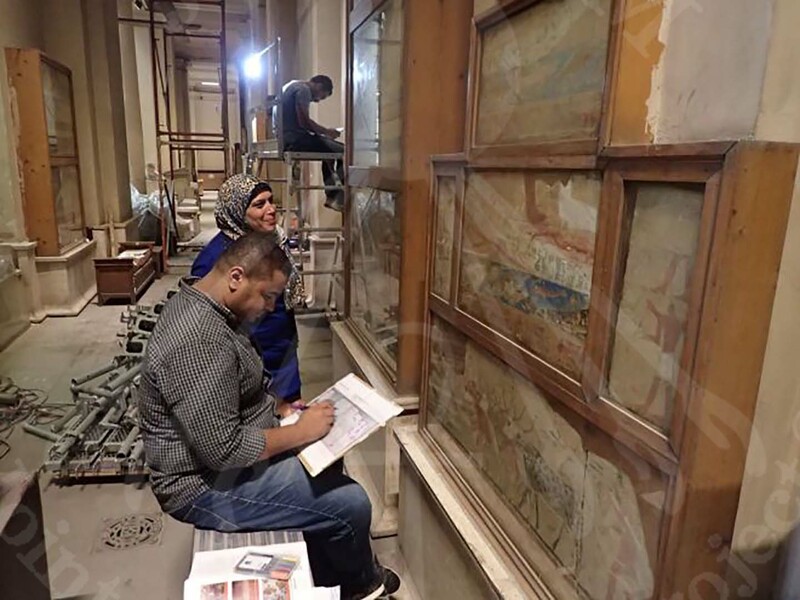 The wall painting team created a visual glossary before the survey so that all the group members can clarify and record the aspects of deterioration based on common understandings. Transparent sheets were used for recording manually and will be scanned and digitalized later on. 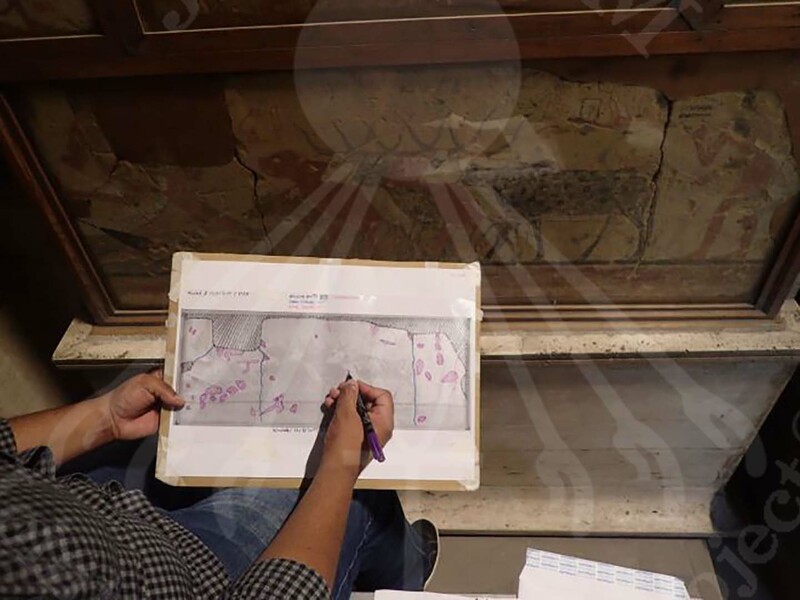 Creating such condition map is a very important first step in conservation work.